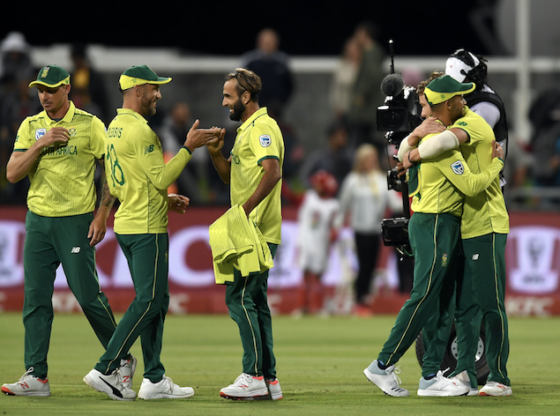 After a long and demanding season, the Proteas will be looking for some champagne cricket to take them through to a series-clinching 2-0 lead in the second T20I against Sri Lanka at Centurion on Friday, writes SIMON LEWIS. With skipper Faf du Plessis, Quinton de Kock, Kagiso Rabada and Lungi Ngidi all rested for the final two T20Is of the three-match series, it offers the opportunity for the Proteas’ fringe players to step fully into the spotlight. The two matches will offer the batting line-up, in particular, the chance to step up to the plate in the absence of two of the Proteas’ most prolific batsmen, Du Plessis and De Kock. Lutho Sipamla was called up for the first T20I following Lungi Ngidi’s left side strain injury, and he bowled superbly in the first T20I, returning the world-class figures of 4-0-19-1 (econ 4.75). Sipamla is a terrific young bowler whose name will be etched into the future plans of the Proteas selectors. David Miller’s role in the side has evolved superbly, with the left-hander proving the critics wrong by putting valuable runs on the board over the past six months. His Man of the Match performance in the first T20I at Newlands saw him lash 41 runs off 23 balls, with five fours and a sublime six high over deep extra cover, followed by 13 runs off five balls off Lasith Malinga in the super over. Miller has proven his big-hitting ability time and again, but what was interesting from the ODI series was his ability to play a more supporting role. Fans seemed frustrated at his slower run rate in the ODIs, but that was clearly a clever tactical move by the brains trust to have him practice playing the anchor role in the innings. There’s little chance of seeing Miller anchoring anything in the last two T20Is against Sri Lanka, and his career strike rate of 140.72 will be well supported by the possible big-hitting middle-order trio of Chris Morris, Andile Phehlukwayo and Dwaine Pretorius. With Nortje injured it’s possible that the selectors will give the three all-rounders a run together, with either Rassie van der Dussen or Dale Steyn being rested after a string of superb performances. Presuming there won’t be anyone added to the squad to replace Nortje, I’d like to see Steyn given a well-deserved chance to put his feet up, which would then put the Proteas bowling attack under serious pressure to perform without a senior statesman in the side. It would also give the Proteas a chance to take on the highest score in T20I cricket history – Afghanistan’s 278-3 against Ireland back in February. The Proteas could open with Reeza Hendricks and Aiden Markram and give them licence to put the foot flat from ball one, with Rassie van der Dussen, David Miller, Chris Morris, Andile Phehlukwayo, Dwaine Pretorius, Sinethemba Qeshile and JP Duminy (the skipper held back in case the Proteas lose too many quick wickets) all primed and ready to explode, then a world-record attempt would surely be on the cards. A bowling attack of Morris, Phehlukwayo, Pretorius, Shamsi and Sipamla might be lacking in experience, but there is major talent there, and this would be the perfect time to throw them in the deep end as a collective. Phehlukwayo is an undoubted match-winner with ball and bat, although he has many who criticise his ability with the bat. Those critics forget that the young man has actually had few real opportunities to build an innings in any format for the Proteas, and all batsmen have a certain apprenticeship they need to serve. 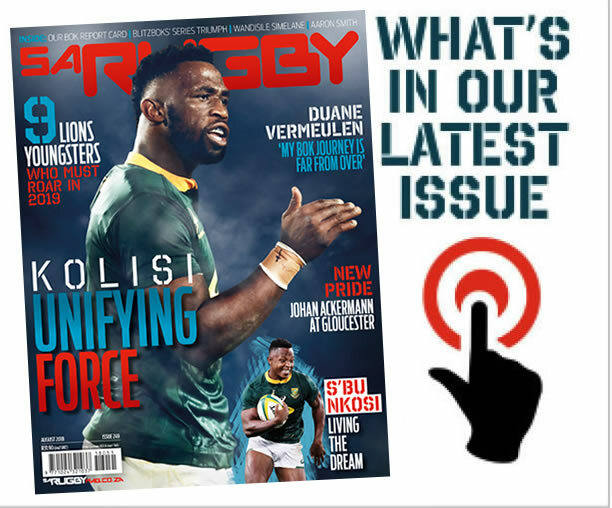 More important is his work with the ball, and for him to lead the attack would be priceless, while for Morris and Pretorius the chance to mix it as key bowlers in the attack might be just the opportunity they need to shine for their country. The highlight of the match for fans could possibly be the chance to watch Qeshile, the highly talented 20-year-old Warriors keeper-batsman, making his international debut in place of the rested De Kock. Qeshile’s back-to-back scores of 121 not out and 88 have marked him as an all-rounder who can produce the goods, but what remains to be seen is his keeping ability on the big stage. Such is his talent that Qeshile is sure to have many more chances in future to prove himself, but if he plays a blinder with bat and gloves in these two T20Is he will add another pleasant headache for the Proteas selectors. Play starts at 6pm, with the third and final T20I in the series starting at 2:30pm at the Wanderers on Sunday.